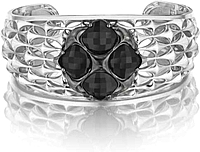 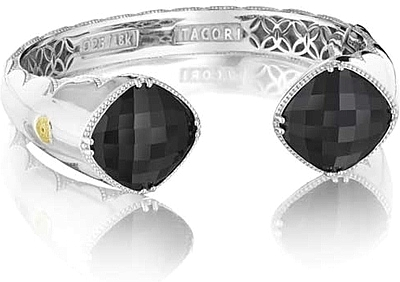 Deep black onyx cushion cut gemstones sparkle on each end of this rockstar bangle. 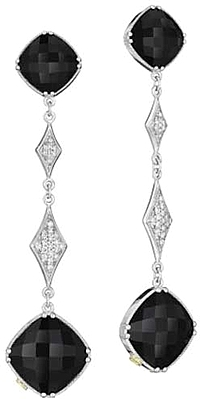 Sculpted signature crescent silhouettes line the interior of this fashion forward statement maker. 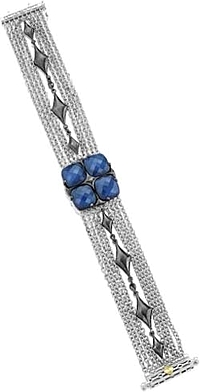 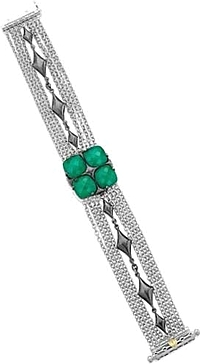 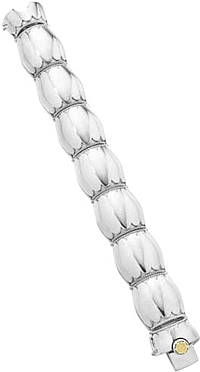 A vented interior allows for a lighter and more airy feel, with a hinge clasp for comfort this bangle has it all!